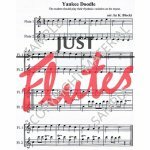 This useful book of duets will really help with the work in the Flute Method Book 1 but could very easily stand alone too! 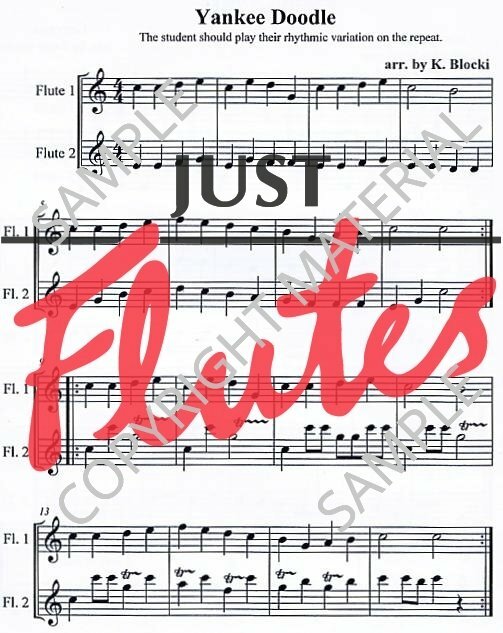 This beginning duet books opens with Hot Cross Buns and progressives to rhythms that include eighth notes and a range that extends from low E to the D above the staff. It includes much great literature for the first years of playing. The first part of each of the 40 duets is written for the student. The second flute part is more difficult, and is intended for the teacher or more advanced flutists. The results are a much more satisfying musical experience than is found in most beginning duet books. 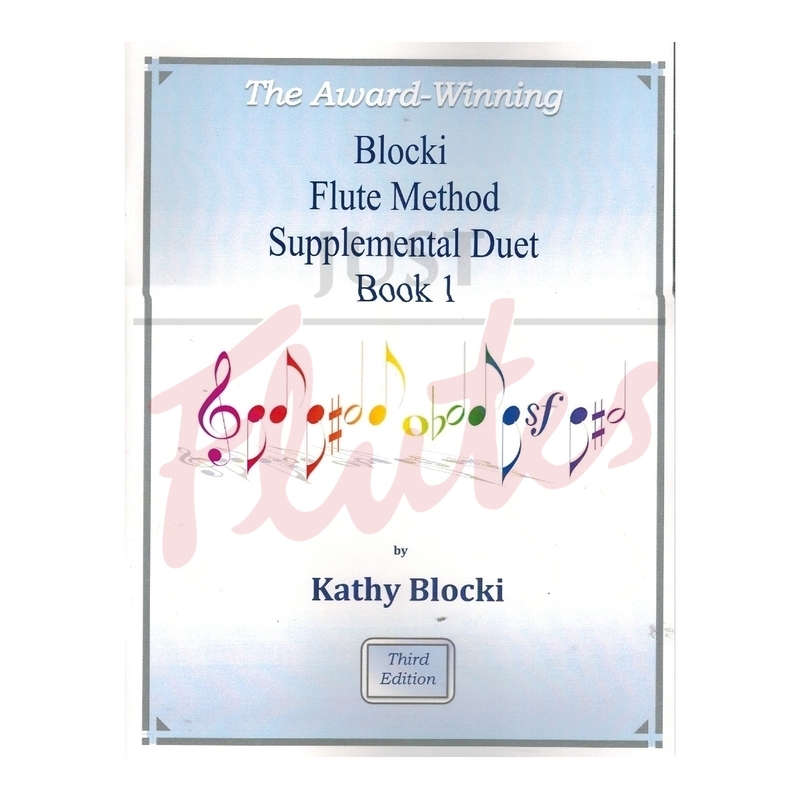 Some of the melodies are taken from the award-winning Blocki Flute Method Book I student book, but most introduce new melodies and are an excellent choice for recital pieces. Also included are four trios that work well for an excellent first ensemble experience.